Free high resolution photo of a dead bolt lock. This photo shows a silver or brushed nickel colored dead bolt lock on a door. The lock has the word “Best” printed on it, and I assume that’s a brand name, though I’m not sure. 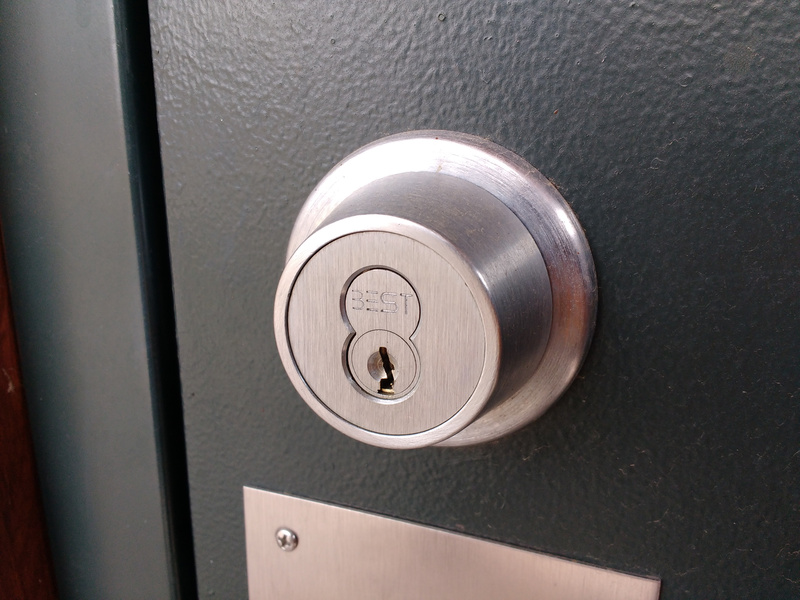 Dead bolt locks are considered very secure. Free image for any use.